With Lobster Vision Building Information Modelling (BIM) integration - the first of its kind - you can view and share your model, accurately aligned with the high-resolution photographic record, from anywhere, helping you to achieve Level 2 or 3 BIM compliance on your construction project. Placing the model directly into the as-built record means you can compare the model from any camera angle, at any time in the past, and ‘fast forward’ to see how the building will look into the future. We're proud to be working with Synchro software - their 4D BIM Virtual Design and Construction Platform is transforming the industry. When we first install Lobster Pot time lapse cameras on your site - it’s usually just a blank canvas. With BIM integration, you can see how the building will look a month or a year into the build, or how it will look in the environment when it’s complete - without having to commission expensive visualisations, and in a way you can share with anyone. 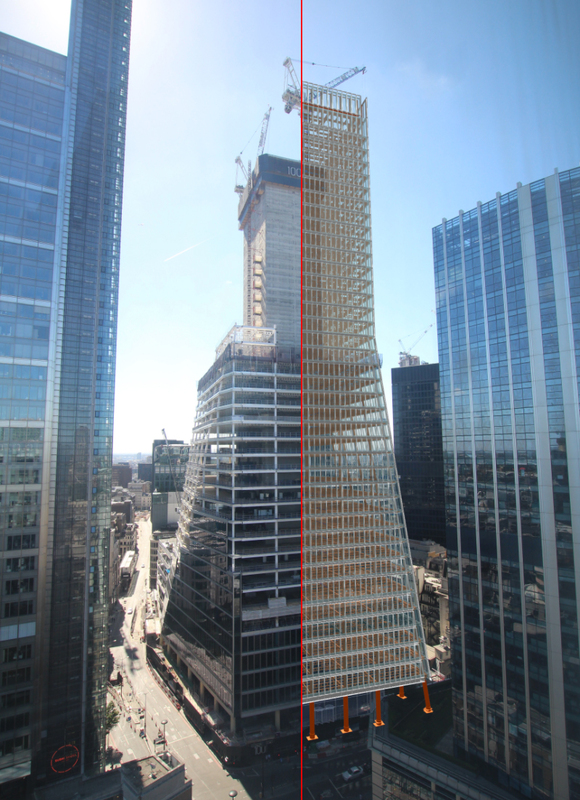 You can review progress against expectation at any time by comparing the BIM against the ‘as built’ record - giving you a irrefutable information and imagery to ensure that what's happening is what you expect, when you expect it. Lobster Vision BIM is completely dynamic. When the server-based model is updated, Lobster Vision API can produce an entirely new ‘timeline’ to reflect the changes - so you know the model you’re seeing is accurate and in-date. Bringing the digital and the visual together means that you can see the imagery in one place, wherever you are. We’ve built powerful time-comparison tools into Lobster Vision - so you can easily pick out details and accurately see what's been done, when. The single model can be shared amongst stakeholders and suppliers to aid collaborative working during the entire project duration, and provide comprehensive information to all parties at each and every stage to ensure your build progresses as planned. The ability to log-in remotely can furthermore reduce the need for site visits, creating further efficiencies. If you’d like to talk to one of our team today to find out about the benefits of integrating BIM into your time lapse project, simply fill out our quotation form, click here to drop us a message, or call us on the number at the top of the page - we'd love to hear from you. Alternatively, to find out more about BIM, download our free BIM in a Nutshell e-book, our free Benefits of BIM and Time Lapse Integration infographic or check out the video below.